Building your own compact Raspberry Pi system is not complicated but if you would prefer to purchase one ready built, you might be interested in the new Raspad Raspberry Pi Tablet which has this week launched via Kickstarter and already raised over £150,000 thanks to over 1,200 backers with still 30 days left remaining on its campaign. Designed by SunFounder based in the UK the Raspberry Pi tablet comes complete with a 10.1 IPS touchscreen together with a internal rechargeable battery capable of providing up to 5 hours of battery life, stereo speakers and unique interface and support. There is also a special Hatch designed to replace the motherboard with ease that doesn’t restrict you from just using the Raspberry Pi, but allows the tablet to support other mini PCs such as the Tinker Board and other computers with a similar form factor. In order to keep all the GPIO and other pins on your Raspberry Pi mini PC accessible for project building, the team of developers have created unique side grooves. Simply connect the sensor blocks to the RasPad through the grooves to enter the world of Internet of things, say its creators. 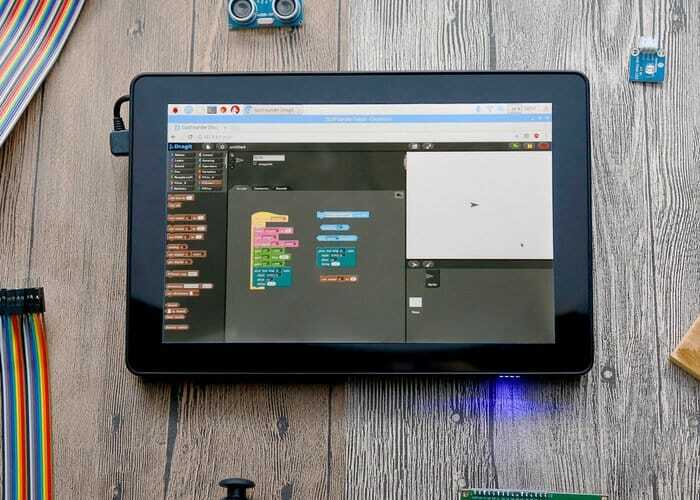 Check out the demonstration video below to learn more about the Raspberry Pi tablets programming capabilities and features. The Raspad Raspberry Pi Table is now available to preorder for super early bird backers at $129 offering a fantastic 54 percent saving off the recommended retail price. Although at this pledge level no Raspberry Pi is included and you will need to have your own. For more than full specifications over to the official Kickstarter campaign page by following the link below. The full goes well worldwide shipping is expected to take place during May 2018.